EPISODE 100! – Joker Solo, TMNT, Star Wars, Creed II, and More! We have arrived at EPISODE 100! 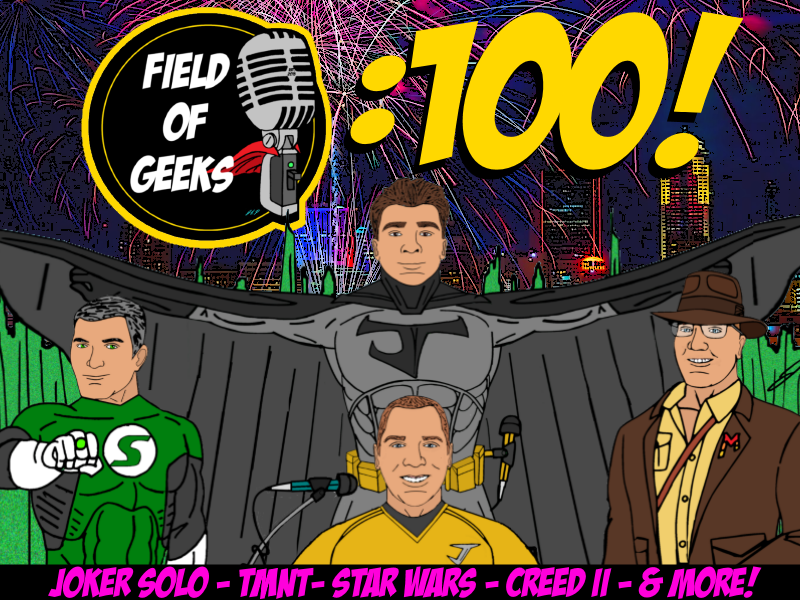 Join Josh, Joey, and Steve for a celebration that will rock your world with news on: New Joker Movie, TMNT Reboot Part 2, Star Wars, Creed II, Bumblebee, Incredibles 2 spoiler-free review, and more! You may also partake in some digital cake and cookies. They were delicious! 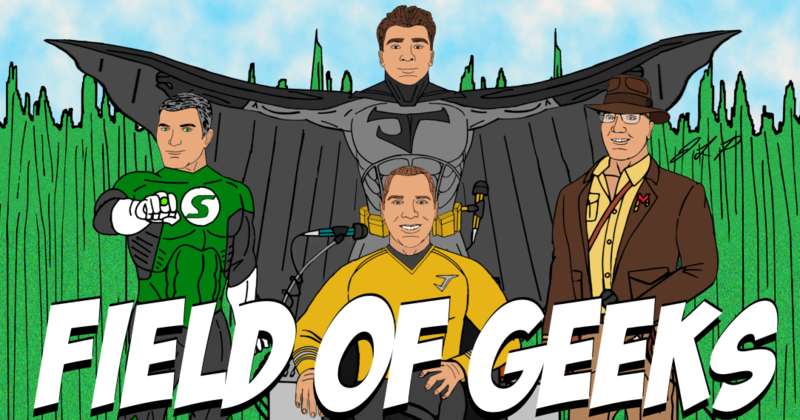 Hello and welcome to Field of Geeks @ the Movies! Come get nuts with Josh, Joey, and Steve as they bring you commentary on the 1989 classic Batman! Starring Michael Keaton, Jack Nicholson, and Kim Basinger, this film launched Batman back into the mainstream, setting up a franchise that grossed over a billion dollars. Grab some popcorn and a soda and watch with us!